Address: 453570 Republic Bashkortostan, Beloretskiy r-n., pos. Revet, p/o Inzer. 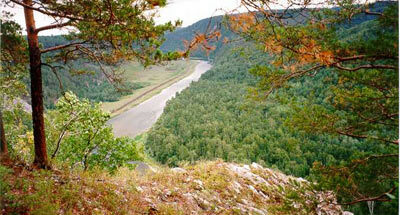 Zapovednik Yuzhno-Uralsky, in Republic Bashkortostan and partly in Chelyabinsk Region, was established in 1978 . Its area is 255 thousand ha. It comprises nature complexes of mountain massive Bolshoy Yamantau (the highest elevation is 1640 m above the sea level) and the Zigalg range. The plant cover includes mountain-taiga fir-spruce forests with nemoral elements; ferns are common in the understory; tall-herb sites are characteristic. 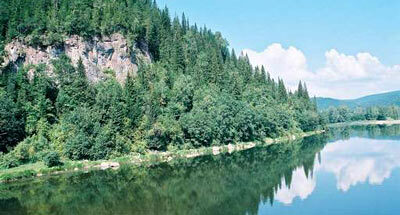 There are also mountain-taiga pine forests. The herb-moss mountain tundras cover the tops of the mountains. 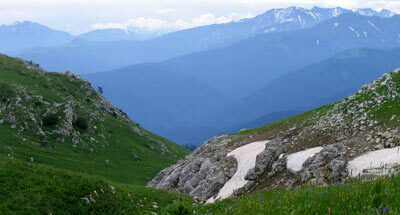 There are plots with mountain-meadow vegetation. Rare plant species, listed in the Red Data Book of the Russian Federation include the military orchis. Endemic plants are numerous: Gypsophila uralensis, Anemonastrum biarmiense, Rhodiola iremelica, Lathyrus litvinovi, Cicerbita uralensis, Knautia tatarica. The following mammalian specie are characteristic: the moose, brown bear wolf, lynx, marten. The best represented avian family are Tetraonidae: capercaillie, black grouse, hazel grouse. A rare avian species is the golden eagle. There are numerous rare butterfly species, including mnemosina, listed in the Red Data Book of the Russian Federation. The fish dwellers are the muddler, and European grayling.